Blush is a colour that’s here to stay. The blush trend started a while ago but thankfully it’s not going anywhere, anytime soon. 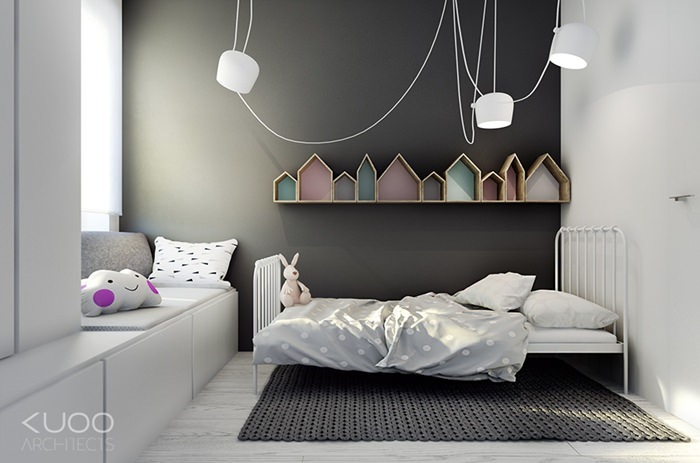 It’s such a beautiful, soft and stylish colour that works so well with many other colours but we especially love it with lots of white for a kids room. A little bit or a lot of blush in a white room not only makes it feel cosy and calming but it’s also a great way to add a bit of chic style without a lot of effort. It’s easy to add a touch of blush to a room either by painting a wall or part of it like in the image at the top. 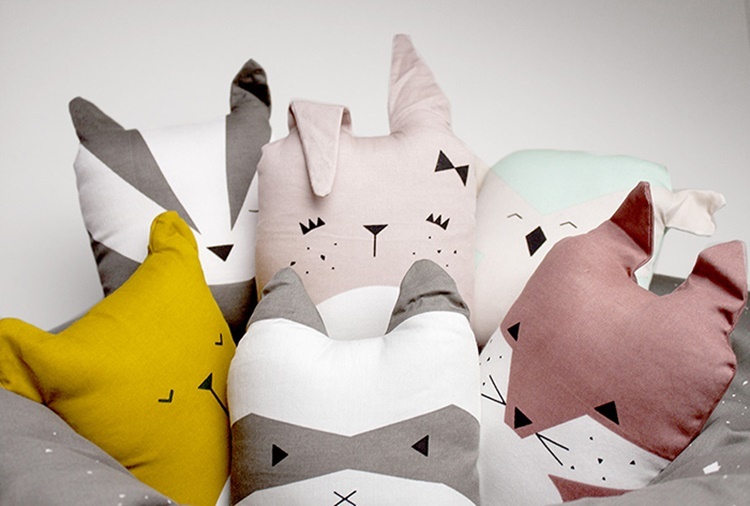 Or blush coloured decorations are also a great way to add a dash of this colour — think bed linen, posters, cushions and rugs. 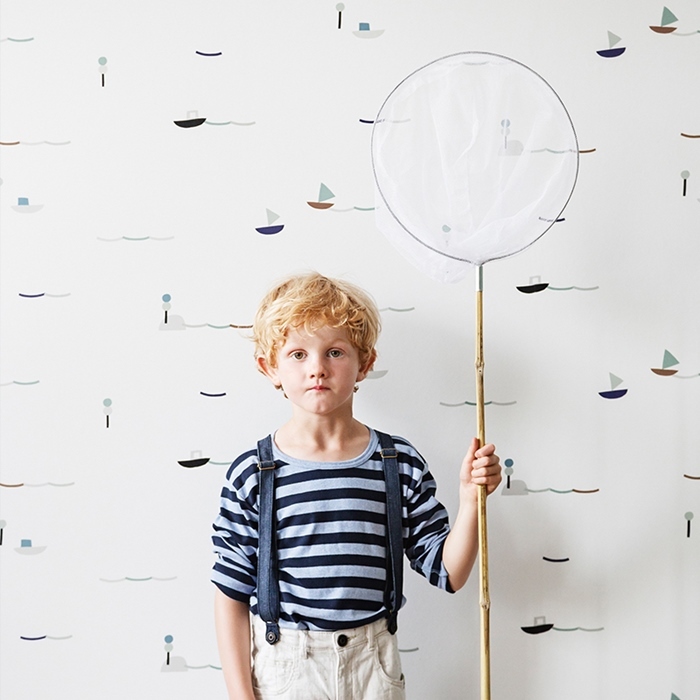 We’ve found some kids rooms that have used blush beautifully — some with a lot of blush others with just a hint. 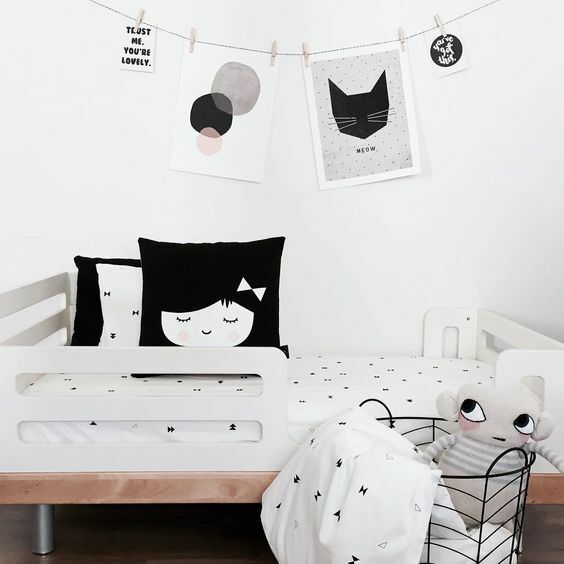 This room uses the tiniest blush accents through decorations like the poster, cushion and soft toy. We love how they’ve kept a monochrome feel but adding that little hint of blush has made all the difference. From a hint of blush in the previous room, to a lot of blush in this room and it looks just as pretty. 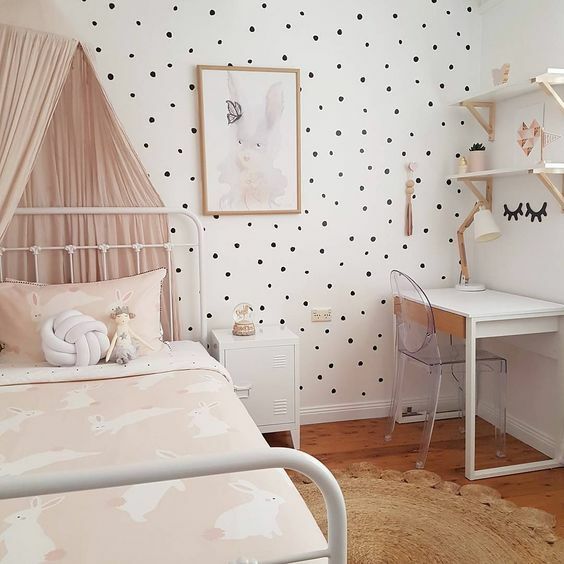 They’ve not only used blush bedding but you’ve also got many blush decorations and it all looks so stylish against the dotty black and white wall. 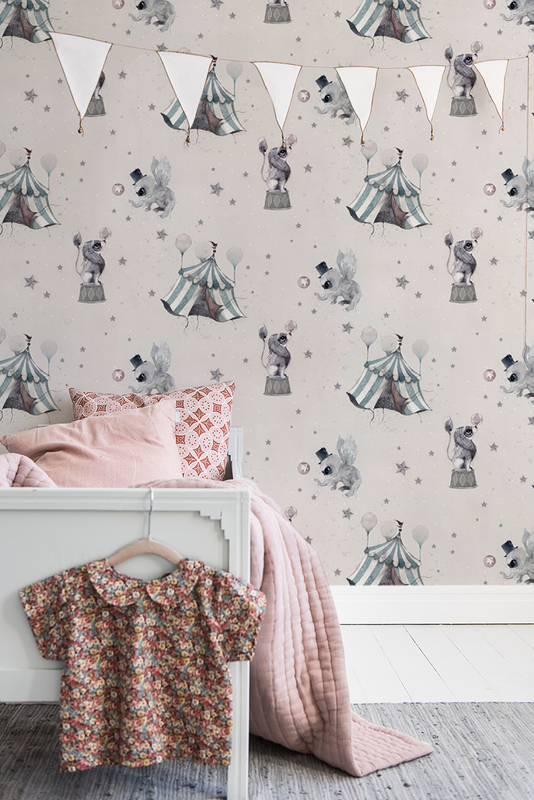 Using blush wallpaper is another way to add blush tones in a room. What stands out in this room is the use of different shades of blush. From the palest blush on the wallpaper to darker tones on the bed, it all looks so beautiful together. 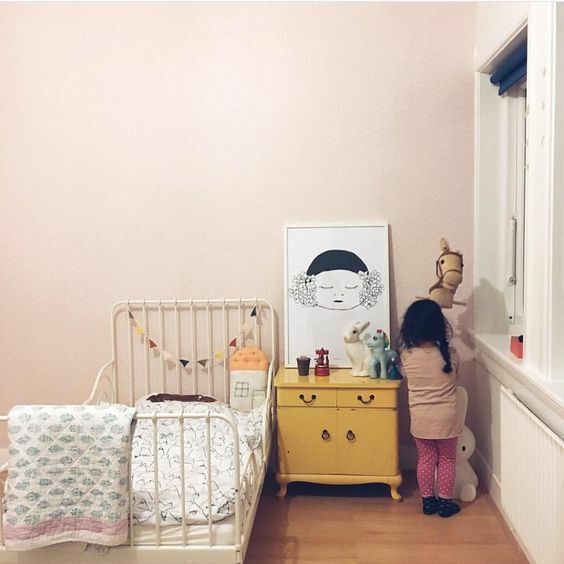 One entire wall has been painted in soft blush and not only does it look great with all the white but that pop of mustard yellow goes so well too. 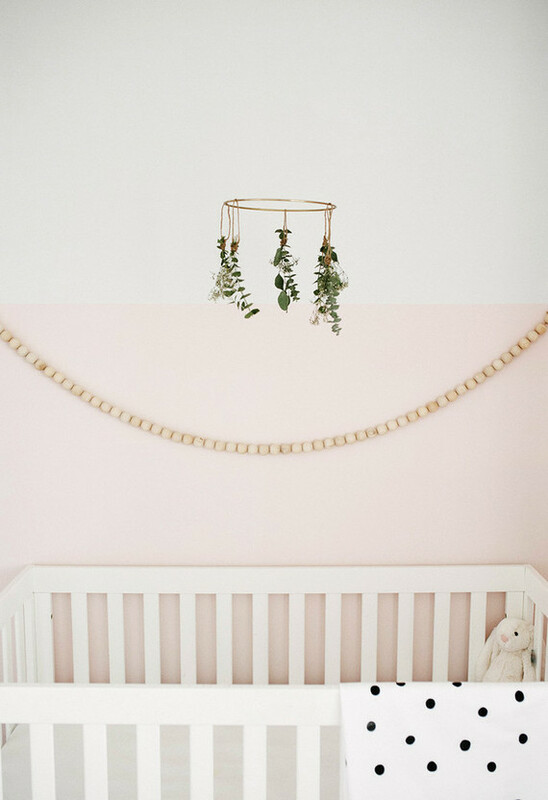 This room would not be quite as pretty without that blush wall. 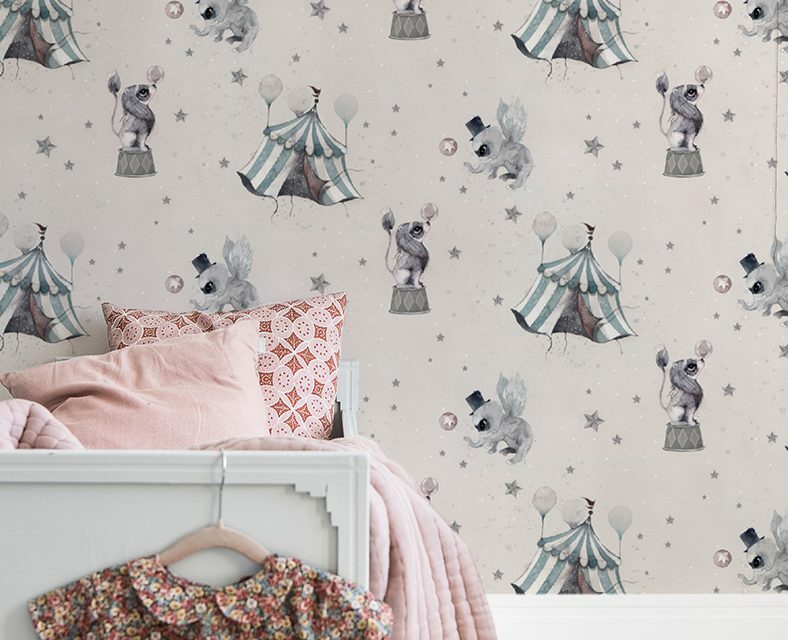 Are you tempted to go with some blush for your kid’s room? We know we are! 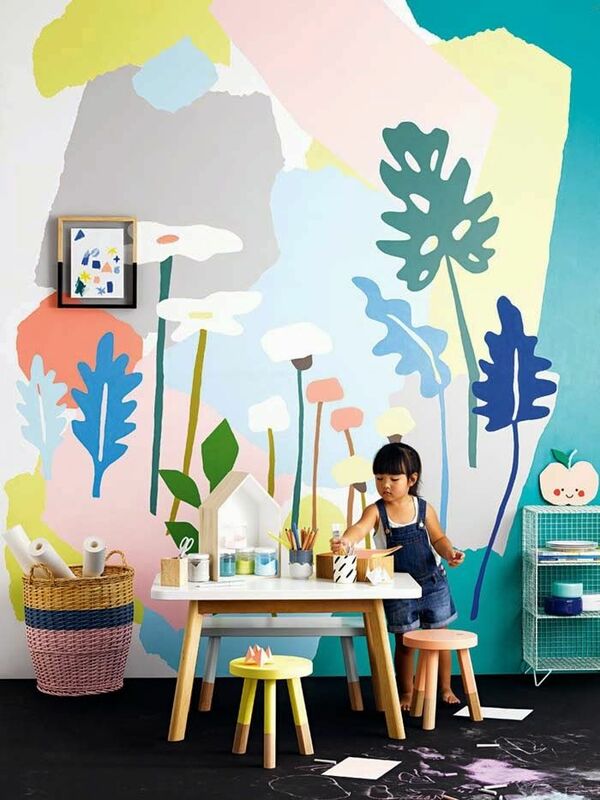 A simple and nice room for kids 3 Creative Children’s Murals for For Your Wall Bobo Choses Accessories and Home – Spring Summer 2015 Ninou Fill Your Daily Life with Whimsical Fantasies Ferm Living Kids AW16 – Caught in the Moment Caution! oh noo Transmits Its Pink Fever!